Call our friendly, local staff today! Summit Cabin Rentals offers Cabin Rentals near the Smoky Mountains in Sevierville, Pigeon Forge, and Wears Valley! When you reserve your cabin with Summit you will receive 24/7 customer service, exceptional housekeeping, fully stocked and equipped cabins, cabins with pool tables, hot tubs, free WiFi, breathtaking views, and much more! Reserve your Pigeon Forge Cabin Rental with Summit Cabin Rentals online today and receive an automatic discount! View our online specials today and save BIG on your next Smoky Mountain Vacation! With so much To Do In The Smokies, you and your family are sure to make memories that will last a lifetime! Beautiful 1 Bedroom Cabin Rentals in Pigeon Forge and Gatlinburg. 2 Bedroom Cabin Rentals in Pigeon Forge and Gatlinburg. 3 Bedroom Cabin Rentals in Pigeon Forge and Gatlinburg. Wonderful 4 Bedroom Cabin Rentals in Pigeon Forge and Gatlinburg. 5+ Bedroom Cabins for Large Group and Family Vacations. Find out how to list and manage your property with Summit Cabin Rentals. 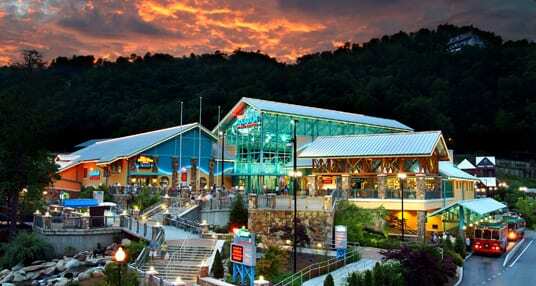 Check out our favorite Gatlinburg attractions. Find out where to eat in Pigeon Forge.